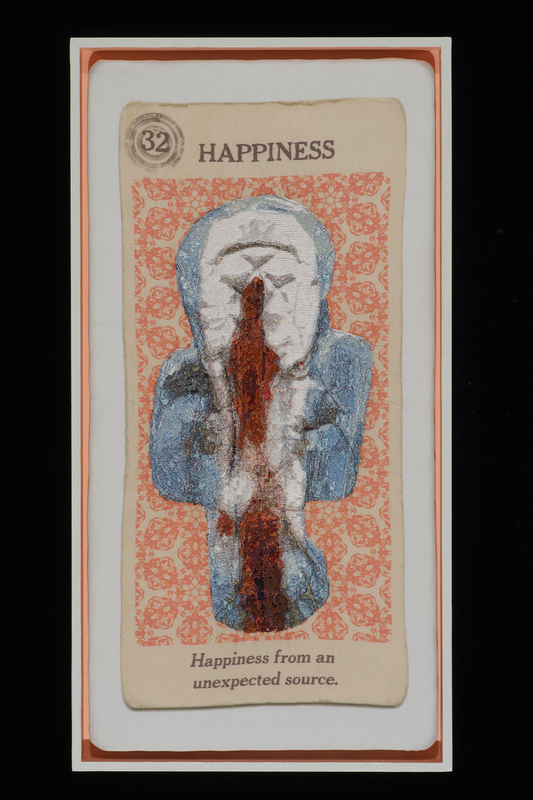 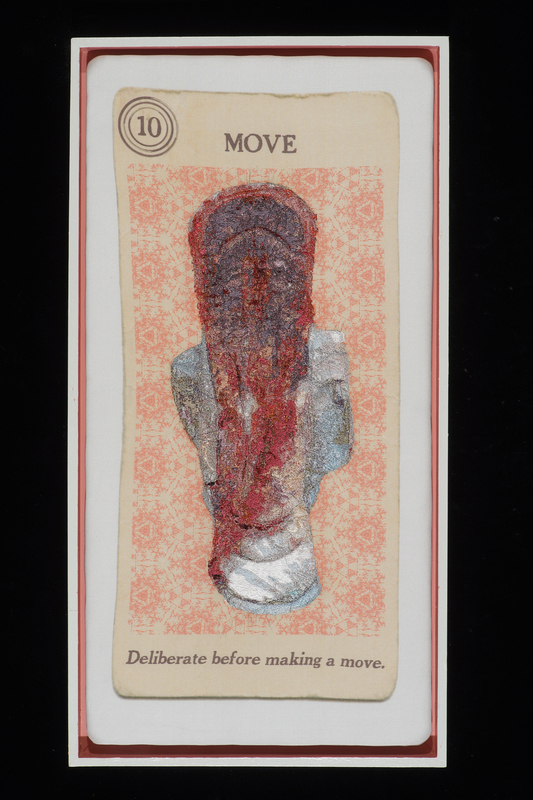 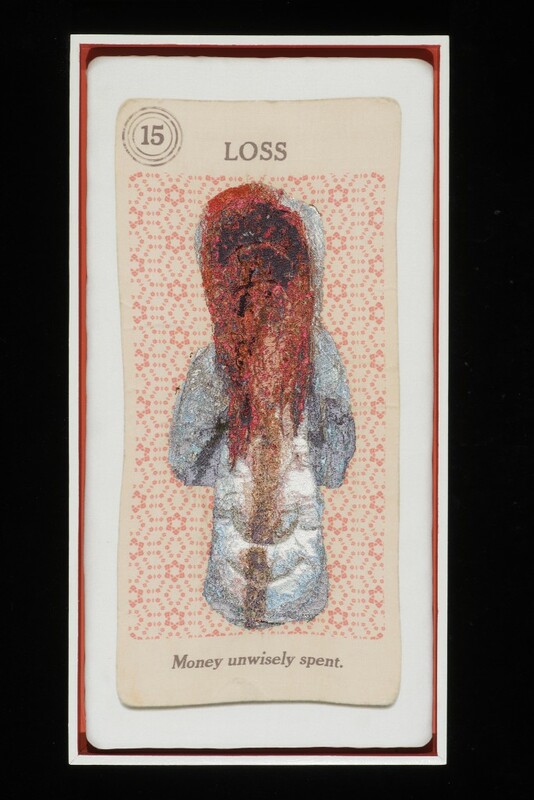 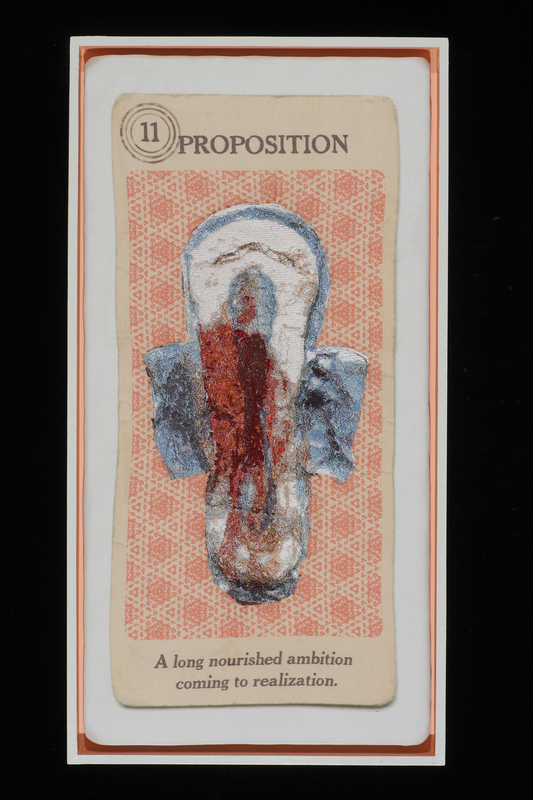 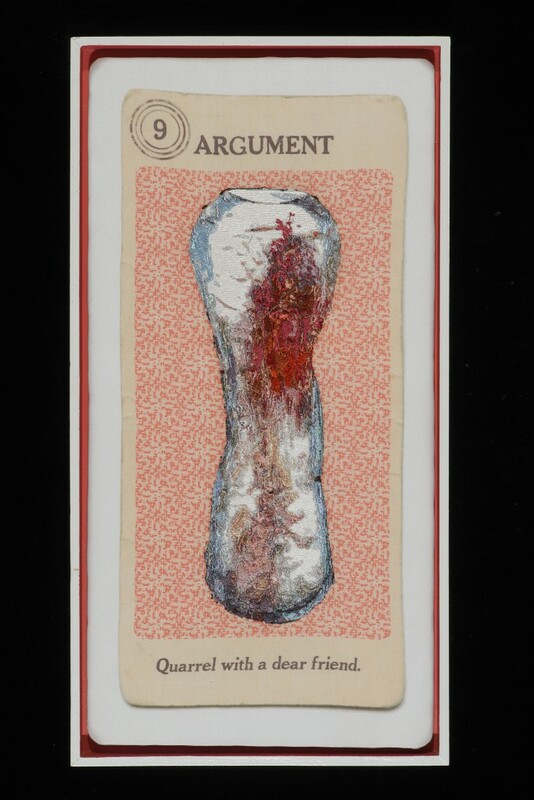 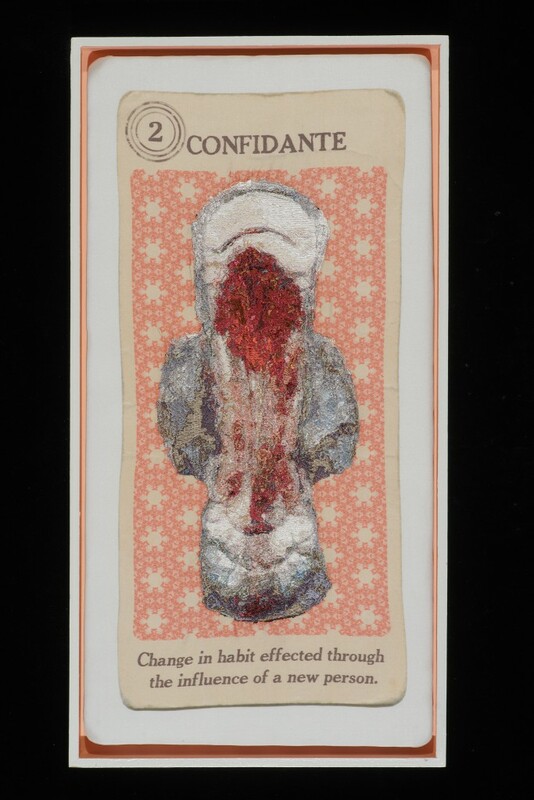 Menstruate/Divinate highlights a theme in my creative work concerned with aestheticizing bloodstains, namely menstrual blood, but using it to explore the internal vs. external locus of control in individuals via games of chance, such as fortune-telling cards and tealeaf readings. 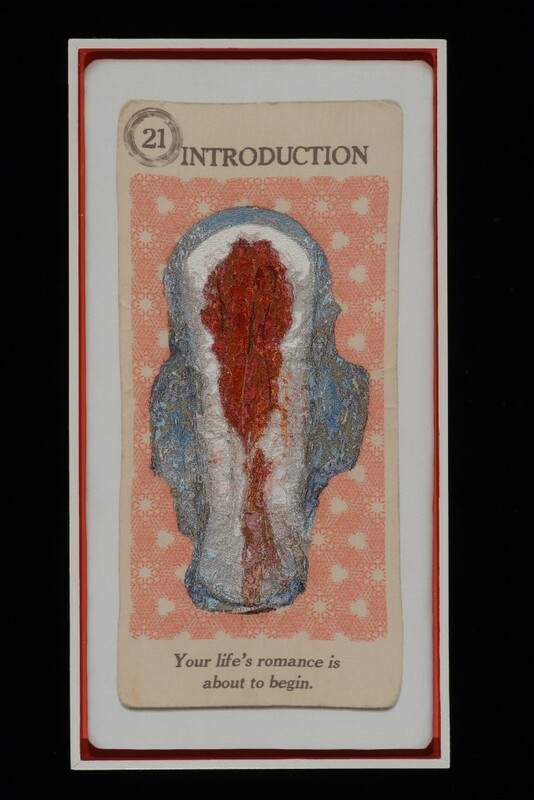 By further marrying the blood imagery to fortune-telling structures, I see ways in which women forgo internal and instinctive methods of self-determination for those that are external and encourage conformity. 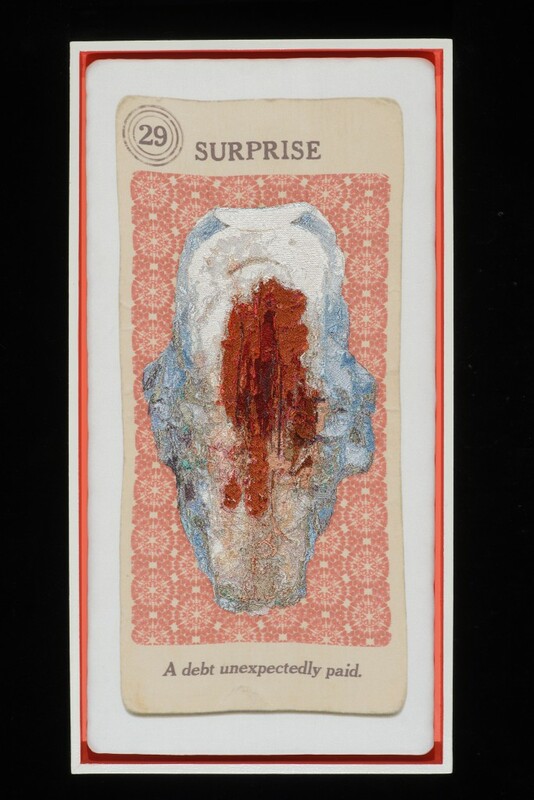 Fortune telling games are generally appealing because they act as a sort of external locus, issuing directives that make the unknown seem understood, even if in the spirit of fun. 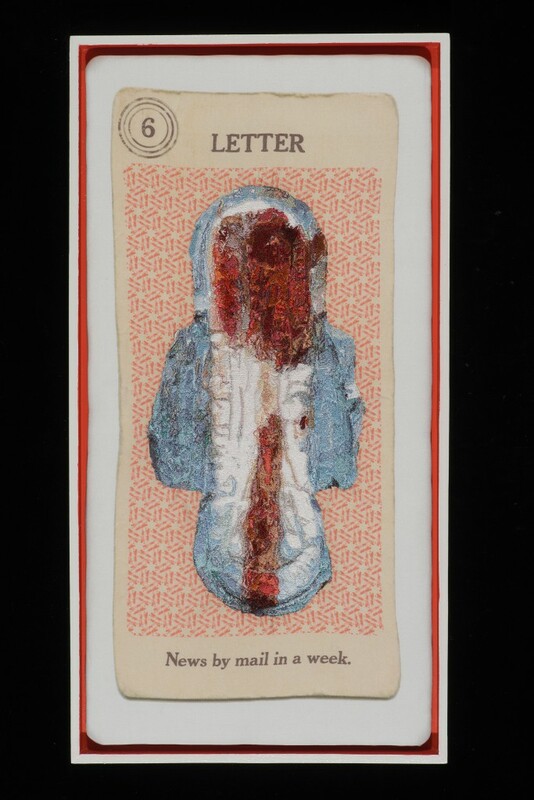 While the shapes that emerge from inverting a cup of tea leaves onto a plate can easily be conjured to have some relatable meaning, I argue that a menstrual blood stain on a pad can offer similar divination abilities if one chooses to examine and understand the messages. 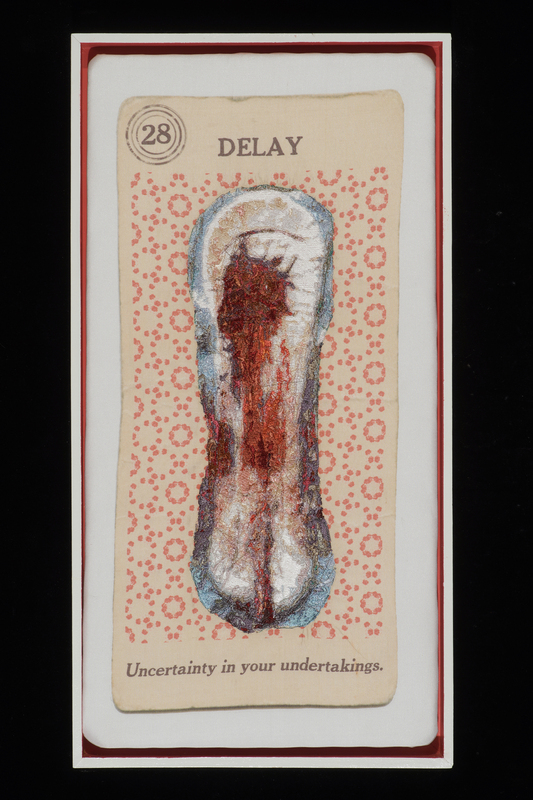 The menstrual cycle is considered by many women to be a constant, it measures time, health and confirms an ability to reproduce until menopause; yet for others it can be a nightmare if it is excessive or its absence interferes with fertility, aging, etc. 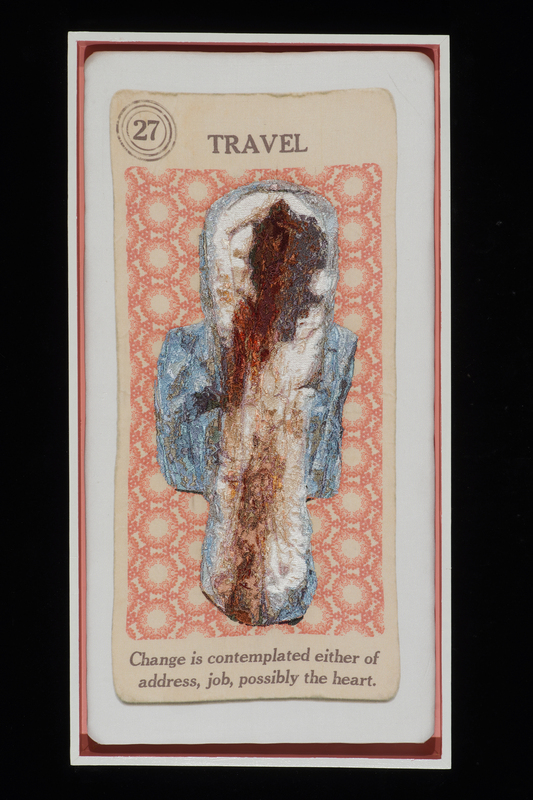 For this series, I have taken a set of 40 cards from a fortune telling game circa 1940 as the basis for this work, reproducing the card format and appropriating the text on silk, but mixing it with large scale embroideries of used pads to serve as the shapes that have been “interpreted” to fulfill a particular prophecy.